In June it took an average of 22 days to sell a condo in Jersey City downtown zip code 07302. Of the 55 condos that sold in the past month, 13 sold on the first day on the market. The median range was 12 days on the market. 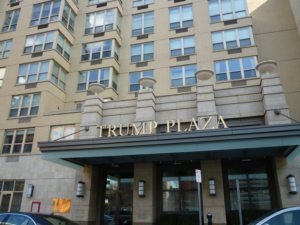 The most active building for sale was 88 Morgan, Jersey City, Trump Plaza with 5 condos sold. 4 of the 5 units sold at and above list price. Unit #906 with 1203 sq. ft. and 2 bedrooms 2 baths sold for $1,027,500 over $27,000 above its list price of $999,888. If you are interested in selling your Jersey City downtown condo call me Janice Hall at 201 232 8577. Trump Towers condo Jersey City downtown reaches $820.70 per sq. ft. The Trump Towers, 88 Morgan Street Jersey City downtown achieved its highest per sq. ft. price for 2015 @ $820.70. The 792 sq. ft condo unit # 4707 fetched $650,000 when it closed on November 10. The condo sold for cash in 27 days at 94% of its list price of $689,000. To date 38 condos changed ownership at the Trump Towers, Jersey City downtown. 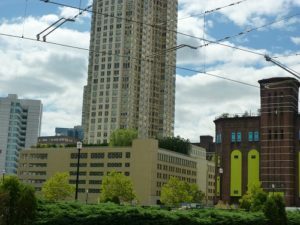 If you are interested in finding out what your Jersey City condo is worth call me Janice Hall at 201 232 8577. The average price per sq.ft. for condos sold so far this month at the Trump Towers, 88 Morgan Street, Jersey City downtown is $775.46. This is an increase of $67.41 over the average price per sq. ft. paid in July. The highest price paid for a condo in the Trump building in August was $643,000 for unit # 3507 a 1 bedroom 1 bathroom 794 sq. ft. The highest sold price for a Trump condo in July was $1,035,000 paid for a 2 bedroom 2 bathroom 1500 sq. ft unit # 3405. If you would like to know the value of your Jersey City downtown condo call Janice Hall at 201 232 8577. The Trump building at 88 Morgan tied with the new construction at 471 Monmouth as the most popular address for buyers in Jersey City downtown area. 5 units in both buildings changed ownership in May. 4 of the 5 sales at 471 Monmouth were at asking price or above. At the Trump only 2 of the 5 sales achieved asking price and above. Interested in selling your downtown condo? Call me Janice Hall at 201 232 8577. Just listed at the Mandalay, 20 2nd Street, Jersey City, New Jersey. One bedroom, one bathroom condos ranging in size between 675 sq ft and 700 sq ft @ prices ranging between $755 per sq ft and $855 per sq ft. 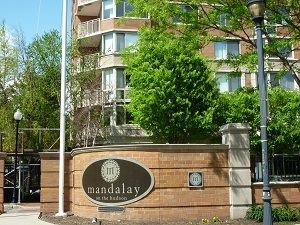 The last one bed one bath condo to change hands in the Mandalay fetched $724 per sq ft.
Also just listed at 20 Newport Parkway, 925 sq ft one bedroom one bathroom @ $727 per sq ft. The last unit to sell in the Shore Club South building fetched $701 per sq ft in August. New to the market at the Trump Towers, 88 Morgan Street. 2 – one bedroom one bathroom condos @ $655 and $751 per sq ft respectively, and a 2 bedroom 2 bathroom unit at $758 per sq ft. Interested in finding out more about any of these new listings in Jersey City downtown call me Janice Hall at 201 232 8577.